Anuj is a Solutions Architect working with Sapient with 10 years of experience in the area of Data Science. 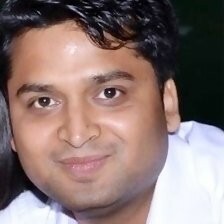 Anuj has worked in various domains like Finance, Banking, Food Industry, and e-commerce industry. He holds Master degree in Computer Applications from YMCA. His interest areas include building Intelligent Search Engines, Text Mining, and statistical and predictive models. At Sapient, he has been helping client to build Recommender Systems, Personalization, Pattern Recognition, Web Crawling, building competitive intelligence systems, and Fraud Detection. Anuj has an extensive experience in Machine Learning using Python and R for building Predictive models and data analysis. He has delivered many client projects using Machine Learning and statistical Based Modelling.